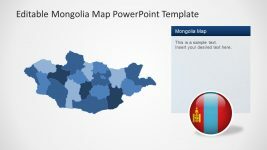 The Provincial Outline Map of Mongolia is a country map with collection of smaller PowerPoint shapes. 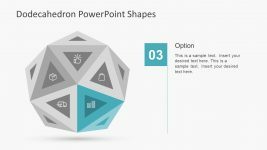 These shapes are flat vector images, therefore, rescaling, repositioning or changing the color does not affect the image quality. 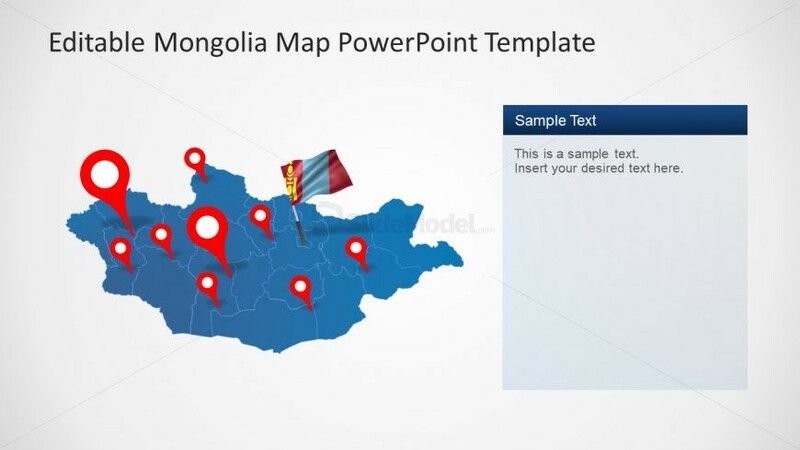 The PowerPoint of Mongolia map shows red location pins of different sizes. 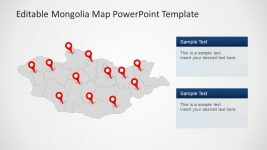 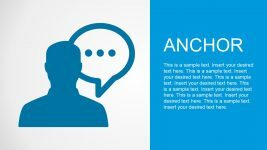 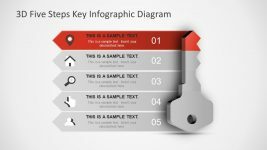 The users can resize and change the color of these location maker clip art and the province units. 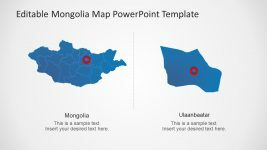 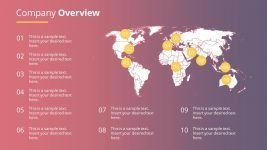 It is also a two content layout with a Mongolia map on left and text placeholder on right. 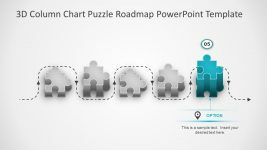 The placeholder has title and description bar to add important details about the slide.